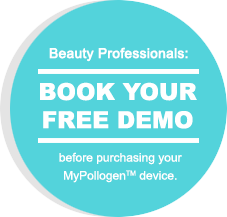 Pollogen featured on ABC – Cellulite Treatments! My Pollogen > TV Media > Pollogen featured on ABC – Cellulite Treatments! Pollogen TriPollar gently massages the skin, it feels like a hot stone massage, and effectively smooths down the “lumps and bumps” of cellulite and tightens the skin.